This basic sales training material class uses the study and practice of Sales Cross-Training and will give you the edge needed to win more deals and increase your income. For more info on Sales Cross-Training go from Basic Sales Training to About Sales-Class. This free online sales training material may sound redundant to you old pros, however, when writing this it reminded me of many things that I had built my sales career on. We may take them for granted but these are the basics that all successful salespeople use. Positive motivation is what keeps you going when you have rejections. Rejections become fewer and fewer as you gain experience. Handeling rejection is a good way to test a potential salesperson. If properly motivated, they can make it to the other side. First, you must have a product that you believe in and have passion about. One of the basic sales training motivation tips I used was the ‘Instant Replay'. After each call that I got rejected, I instantly replayed it in my mind as a success. I also replayed a recent successful sales call and I went home feeling like I had closed them all. Here’s a great site with information on success and motivation along with tips and tools to help reach your goals. Visit brightimages.com to see this great resource. Clients can smell fear but if you seem motivated about your product or service they are far more interested. Another motivation technique I use, even now, is to play my theme song ‘ROCKY’ after every successful call. You have to find some way of rewarding yourself on your successes and ‘instant replay’ the bad ones. It’s proven that your subconscious will believe vivid thoughts as reality. Self-motivation is vital to keep you going. What a great idea! An Internet Radio Station On Success, Motivation, Business and Achievement! The Achievement Radio Network Internet radio station on success and business from the world's leading self help and motivational speakers. Understand your buying customers’ profile. There are things that they all have in common. Write down your clients buying profile from your list of sales. You will see that there are similarities between your clients. Whatever these similarities are, use them to determine if you have a suspect or a prospect. Our need to show our product or service sometimes is so great that we waste time selling to non-qualified buyers (suspects). Move through suspects quickly and spend your time on qualified buyers (prospects). Make your profile list and use it to screen prospective buyers and focus on prospects. This basic sales training tip will save your valuable time and allow you to sell more. One advantage you have that can overcome lots of experience is that you can study and learn your product from inside and out. Knowing your product will give you confidence when talking to clients. It may take years to master sales, however it takes far less time to master knowledge of your product. This, more than anything else, will move you further in your sales career. This is the way most successful salespeople FAB clients automatically. Most basic sales training teaches you to discuss features of your product and if the client shows interest in that feature; you move to discuss the advantage of that feature then move to the benefit to the client. Feature-Advantage-Benefit. Feature-Advantage-Benefit. Feature-Advantage-Benefit. Here’s a basic sales training example of Feature-Advantage-Benefit (FAB): Let’s say you are selling copiers and your equipment is a multi-functional device that scans, copies, prints and faxes. You can discuss this feature with the client and if they show interest, then move on to discussing the advantages of this; less space, fewer pieces of equipment, more productive and so on. Then you move to the benefit; fewer pieces of equipment will save you money, more productive system will allow your staff to complete more work and make you more money. Think about using this logical communication method. It works so well, you may buy one yourself! To learn more about FAB Selling check out the advance FAB class. Price selling is usually where beginning salespeople go right away. Most of them will either fail or get stuck in a mediocre life selling lots of stuff and making other people most of the money. However, for the few salespeople that understand value selling, the world is their pearl. Here’s how it works; the more value you can convey to your client concerning your product or service, the more money they are willing to pay. Your company history, your many satisfied clients, testimonials, Feature-Advantage-Benefits, time savings, productivity, operational cost and an endless list of value. The first goal is to build the value over the competition and up to your proposed price. As you sell more value, your price can go higher. Learn when to be quiet! When the buyer says OK, be courteous, thankful and stop selling. Many salespeople continue selling after the sale is made. More deals are lost this way than any other blunder. When the buyer say yes, move in and document the sale with as little said as possible. If you continue selling, your client will have the opportunity to re-evaluate his decision again and again until you talk him out of it, just be quiet! The fact that you are reading this basic sales training page shows that you are serious about your profession. Selling is the oldest profession. I know some of you may think it is something else, but even that had to be sold first! Find the most successful person in your field and ask them how they do it. Ask what books to read, what courses to take. The day you stop learning your skill, you leave the door open to complacency. Always strive to learn more. 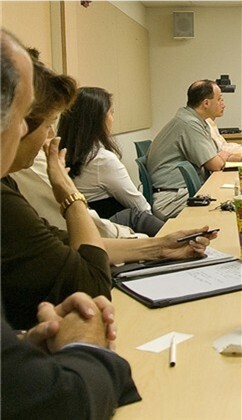 Basic sales training is also about understanding the sales process, prospecting, presentations and closes. Here are some additional classes you can study. Is a basic approach to your career in sales. Study the feature advantage benefit selling strategy. On-Line Sales Training Courses: The Sales Leader website offers eight different on-line sales courses as well as free tips and articles to help salespeople increase revenue.